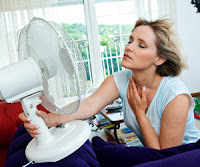 Why the upper level of your home is unbearable during summer, and how we can help. Everyone knows the basic principles of warm air and cool air – warm air rises, cool air sinks. You can see this in practice when a hot air balloon is filled with heated air and rises. When the air inside the balloon cools, the air becomes dense causing the balloon to lower. This principle applies to the air inside your home. This results in something called Stack Effect. Here’s how it works and how it affects your home’s performance. During winter months, indoor air that’s been warmed rises to the upper areas of the house. Due to natural penetration points in the roof of a home (e.g. around electrical penetrations, vents, etc.) this warm air leaks out of the home. During winter months, warm air inside the home is desired. What do homeowners do? They turn up the HVAC system. This creates a false sense of an efficient home because the heating system overrides any feeling of discomfort. What about summer? During summer months, stack effect creates a much more uncomfortable living situation. As the warm inside air rises in a home and escapes through upper level penetration points, warm outside air enters the home through lower penetration points. The home’s HVAC system will run to help cool the air inside the home. 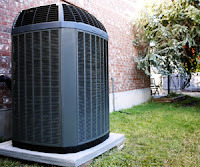 Since cool air is dense, the conditioned air will not reach the upper level of the home. This can create an unbearable living situation in the upper level of a home during peak summer months. If you dread the upper floors of your home during summer months because of hot and uncomfortable air, your home needs air sealing and insulating. Contact us to discuss your home’s summer comfort issues and schedule a free estimate. Author adminPosted on June 19, 2017 July 13, 2018 Categories air sealing, energy efficiency, HVAC, insulation, professional air sealing, save money, stack effectLeave a comment on Why the upper level of your home is unbearable during summer, and how we can help. Are you ready for summer and secretly worrying about your summer energy costs? Many homeowners experience higher than necessary energy bills during summer. Saving money on energy bills and keeping your home comfortable isn’t as hard as you think. There are a few simple things you can do today to improve the energy efficiency and comfort of your home. USE THE GRILL. 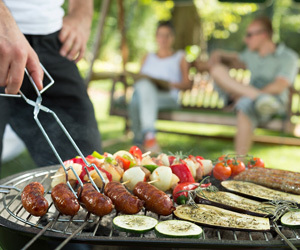 On the warmest days of summer, keep your kitchen and home cool by using an outdoor grill for your meals instead of the stove or oven. Not only will you reduce strain on your indoor HVAC system, you can turn any day into a backyard party! SWITCH ON THE CEILING FANS. Ceiling fans better circulate the cool air already blowing inside and the slight breeze keeps you cool too. Plus, using fans actually allows you to raise the temperature setting on your thermostat four degrees. This can help lower your electricity bills without sacrificing overall comfort. Bonus tip! Switch on your bathroom fans — they pull heat and humidity from your home which also improves comfort. SEAL AIR LEAKS. Low-cost caulk can be used to seal cracks, openings and other heat penetration points in your home. Air sealing keeps warm air out and conditioned air (air you’ve already paid to cool) inside your home. Need help or have a bigger job than you can handle? Contact us for a free estimate. MAINTAIN YOUR HVAC SYSTEM. Having your air conditioner serviced annually can help keep it running efficiently (and help prevent those mid-summer break downs). Check and replace your furnace filter regularly (which also helps keep your home clean), and don’t forget about your programmable thermostat! Setting your programmable thermostat to a higher setting when you are not at home can save an estimated ten percent on your energy bills annually. SEAL DUCTS. Air loss through ducts can lead to high utility costs. Leaky ducts keep conditioned air from getting to desired rooms in your home, and they force your HVAC system to work harder. Leaky ducts account for nearly 30 percent of an HVAC system’s energy consumption! Sealing those ducts can go a long way toward lowering your electricity bills. Questioning high utility bills this summer? Give us a call for a free in-home estimate. 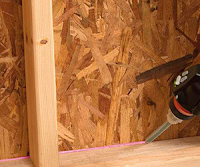 When it comes to insulating walls, most people think of fiberglass batt insulation. For years, fiberglass batt insulation was the only way to insulate walls. Today’s construction technology has many other options! One cost-effective and energy-efficient option is the blown in wall system. 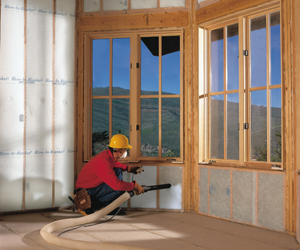 The blown-in wall system provides a high-efficiency energy blanket of insulation at a fraction of the cost of spray foam insulation. This system is installed in open cavities during the construction or remodeling process, and can be used in residential or commercial buildings. The blown-in wall system gives homes a seamless, thermally efficient blanket of insulation that completely fills any void in the wall cavity. Fabric mesh is installed across the open wall cavity. It is tacked to each stud in the wall assembly. Loose-fill fiberglass insulation is blown behind the fabric mesh. It is installed at a density that fills all voids in the wall cavity. The penetrations in the mesh are sealed to hold the product in place. Higher R-values than traditional fiberglass batt insulation, saving on heating and cooling expenses. Reduced air infiltration. National laboratory tests have shown a 68% reduction in air infiltration when installing a blown-in wall system over fiberglass batt insulation. TAKE ENERGY EFFICIENCY ONE STEP FURTHER! Air seal each wall cavity prior to installing a blown-in wall system to further increase efficiency! Excellent sound control. Because loose fill fiberglass insulation completely fills the wall cavity, noise transfer is reduced. Does not settle. Because the insulation is dense packed, there’s no chance of it setting and affecting r-value. Interested in learning more about the blown-in wall system? Call us with questions or to schedule a free estimate. New HVAC Rebates! Save even more on home energy upgrades! If you’ve been waiting to upgrade your home’s energy performance, you’re in luck! Effective August 15th, 2016, the HVAC program will be implementing an additional 10% increase to rebate incentives on approved HVAC equipment. Customers can receive 10% higher rebates for HVAC equipment if the equipment is installed as part of a Home Performance with ENERGY STAR job. The rebate application must include shell measures and/or duct sealing as part of the scope of work. The HPwES application will also require the AHRI certificate matching the contracted HVAC equipment installation to be uploaded with the application. That’s all great. But, WHAT DOES THIS REALLY MEAN? 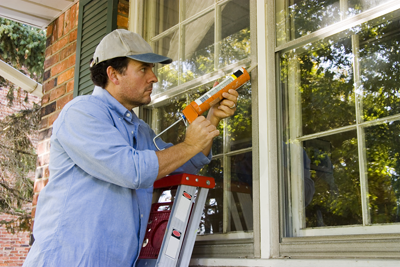 If you’ve not already had an energy audit performed on your home, this is the first step. Combine the 10% HVAC rebate plus rebates from your local utilities and the savings really add up! We know rebates can be confusing. We are here to help you take advantage of all the rebates available to you! Please call our office with questions (443-770-1111). 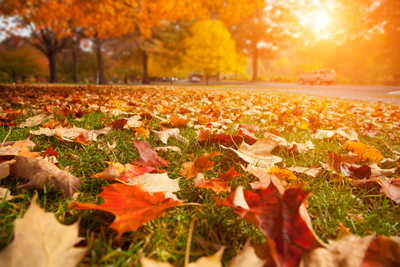 Author adminPosted on August 16, 2016 October 3, 2018 Categories energy efficiency, energy upgrades, HVAC, save moneyLeave a comment on New HVAC Rebates! Save even more on home energy upgrades! 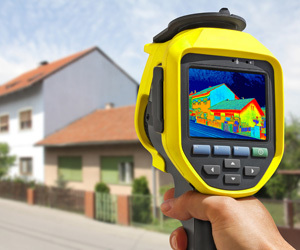 Save Money and Increase Comfort with an Energy Audit! An energy audit is the first step – and arguably the most important step – to analyze and improve the energy efficiency of your home. Here is why: Rather than focusing on a single problem (the heating or cooling system, insulation or ventilation), an energy audit looks at the home as one system. Audit results can quickly pinpoint the most energy-efficient improvements for your home. Reduced energy bills. One look at your monthly energy bill and you’ll notice your home’s increased efficiency! Most improvements pay for themselves shortly after they are made through monthly energy savings – and energy upgrades can increase your home’s resale value! Increased comfort. Air leaks exist throughout most homes – you’ll notice them as drafts and inconsistent temperatures. When air leaks are identified, they can be sealed which improves your home’s comfort. Better indoor air quality. 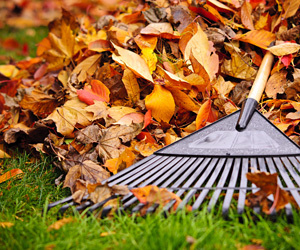 Air leaks allow outdoor pollutants to infiltrate your home. Sealing leaks can keep pollutants from affecting your home’s indoor air quality. Additionally, an audit can recommend ventilation improvements to your home which further offers further benefits. Environmental benefit. Implementing the recommendations that come from an audit will reduce your home’s energy consumption. This will reduce your carbon footprint and your home’s impact on the environment. 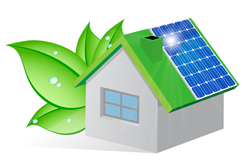 Ready to schedule a home energy audit? Call us today! Author adminPosted on June 24, 2016 October 3, 2018 Categories energy audit, energy efficiency, home performance, save moneyLeave a comment on Save Money and Increase Comfort with an Energy Audit! In case you haven’t heard, the Residential Energy Efficiency Tax Credit has been renewed! This is great news if you plan to make any energy efficiency updates to your home this year. It is also a great reminder to apply any updates you made last year to your taxes this year. You could be eligible for a tax credit up to $500! Here is a list of product eligible for tax credits. These products have specific requirements to qualify for the tax credit so make sure you review the Residential Energy Efficiency Tax Credit requirements before making a claim on your taxes or planning a project for 2016. If you have set your sights on a larger renewable home energy project for this year like a solar energy system or even a geothermal heat pump, you’re in luck too! Those tax credits have been renewed as well. Be sure to read the details on the Residential Renewable Energy Tax Credit requirements before planning your project. 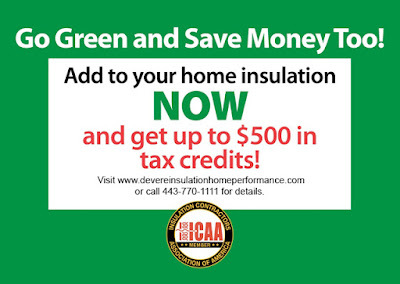 Have questions on how upgrading your insulation would apply to these tax credits? Give us a call! Requirements: install fiberglass batt insulation, blow-in fiberglass insulation, or spray foam insulation. 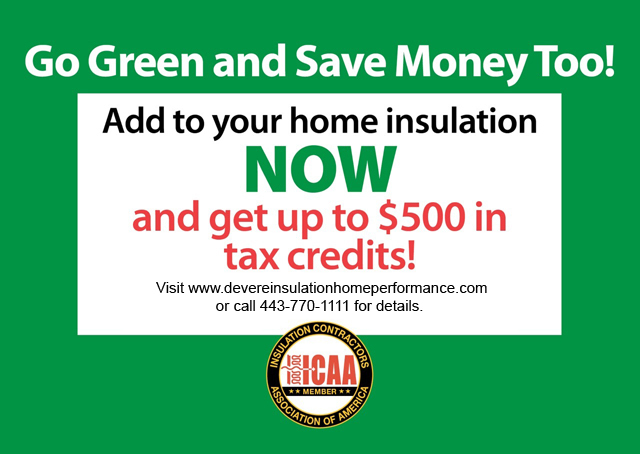 Author adminPosted on January 21, 2016 October 3, 2018 Categories energy efficiency, fiberglass insulation, maryland, spray foam insulation, tax creditLeave a comment on Save Up To $500 By Adding Insulation!